Sunderland are considering a summer move for Aberdeen midfielder Graeme Shinnie, according to the Glasgow Evening Times. 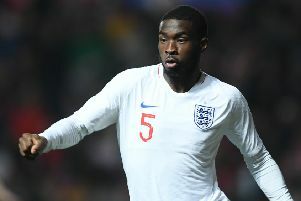 The 27-year-old, also linked with a move to Wigan Athletic last month, has been tipped to leave Scotland when his contract expires at the end of the season. But Shinnie, who has five senior caps for Scotland, insists he will not be distracted by contract speculation or the links to Sunderland and the Latics. “I’m at an age where this is a massive decision for me and I’m not going to rush into it but games like this show my commitment to the team and my mind is never away from it,” he said, speaking to The Press & Journal. Ex-Blackpool boss Gary Bowyer has emerged as the new bookmakers’ favourite to take charge at Bradford City, SackRace.com believes. Bowyer, who is a 3/1 shot with Bet Victor, spoke exclusively to the Blackpool Gazette on Wednesday and admitted he is hoping to return to management after seven months away. And while the 47-year-old insisted he is yet to be contacted by the Bantams, the ex-Blackburn manager’s desire to return to the dugout has seemingly been taken into serious consideration by the bookies. Coventry City manager Mark Robins has put the future of Jordan Willis and Lee Burge on the back burner while he concentrates on trying to push his team towards the playoffs. The key duo are out of contract at the end of the season – but the 49-year-old has other things on his mind. “Everyone knows what my thoughts are but we just get on with the games and address those issues as and when we can do,” he told Coventry Live. Plymouth Argyle manager Derek Adams hopes the futures of Ruben Lameiras and Graham Carey will be decided next month. Both players’ contracts expire in the summer and Adams will make a decision on the pair once he has discovered his budget for next season. Speaking to Plymouth Live, he said: “We have got a board meeting this month to discuss the budget and then once we have discussed the budget, it goes to the March board meeting to hopefully confirm and if it’s not that, it will hopefully be the April one to confirm what the budget is for next season. In League Two and league leaders Lincoln City look set to be without Lee Frecklington until the back of the season due to a groin injury. “It’s been a nagging issue and we’ve been trying to work through it,” Cowley told Lincolnshire Live. “It’s a tendon issue and there’s inflammation when he plays. He can play and train, but he can’t back it up and do it regularly. “Lee is the type of boy who needs to train regularly because his game is all about sharpness and mobility. “When he doesn’t train regularly he can’t quite find that sharpness which makes him a really special player to us. We want to try to get his groin right, then get him back on the grass so he can find his rhythm.